Farrar, Straus and Giroux, 9780374271565, 320pp. A jury gathers in Manhattan to select a memorial for the victims of a devastating terrorist attack. Their fraught deliberations complete, the jurors open the envelope containing the anonymous winner's name—and discover he is an American Muslim. Instantly they are cast into roiling debate about the claims of grief, the ambiguities of art, and the meaning of Islam. Their conflicted response is only a preamble to the country's. The memorial's designer is an enigmatic, ambitious architect named Mohammad Khan. His fiercest defender on the jury is its sole widow, the self-possessed and mediagenic Claire Burwell. But when the news of his selection leaks to the press, she finds herself under pressure from outraged family members and in collision with hungry journalists, wary activists, opportunistic politicians, fellow jurors, and Khan himself—as unknowable as he is gifted. In the fight for both advantage and their ideals, all will bring the emotional weight of their own histories to bear on the urgent question of how to remember, and understand, a national tragedy. 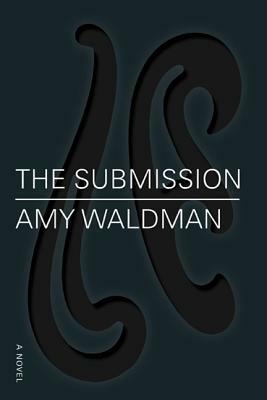 In this deeply humane novel, the breadth of Amy Waldman's cast of characters is matched by her startling ability to conjure their perspectives. A striking portrait of a fractured city striving to make itself whole, The Submission is a piercing and resonant novel by an important new talent. Amy Waldman was co-chief of the South Asia bureau of The New York Times. Her fiction has appeared in The Atlantic and the Boston Review and is anthologized in The Best American Nonrequired Reading 2010. She lives with her family in Brooklyn. The Submission is her first novel.